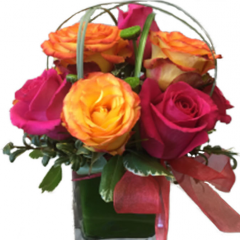 The Rose Parade bouquet combines seasonal rose varieties artfully designed in a clear glass cube. 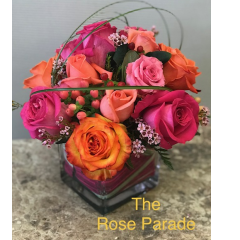 Perfect for a desk and just about any occasion, the Rose Parade comes in a variety of colors. Roses come in some of the most varied color combinations throughout the year. 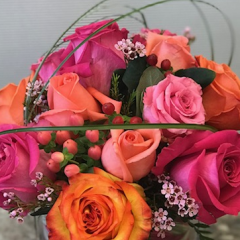 Ask a sales associate for other combinations.